Nuclear reaction: what's next in energy science? Interview This year, Imperial College graduated its first nuclear scientists for a very long time. After years in the doldrums, other universities are also increasing their activity. Is this a sign of a Nuclear Renaissance? Perhaps it is. Even deep Greens are dropping long-standing objections to nuclear power generation. I got in touch with Imperial's Professor Robin Grimes, who recently co-authored a Science paper with William Nuttall indicating how the nuclear industry could re-emerge. Here's an interview that encompasses the current state of play, and some ideas about how the next 40 years could take shape. Professor Grimes disagrees that nuclear has been moribund - it just seems that way in the UK and the USA, he says. "We've been in stasis. 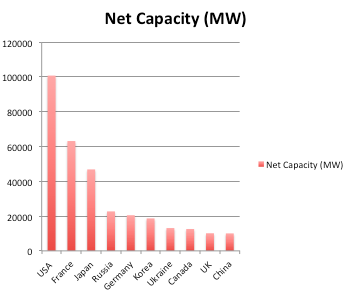 Only in the last five years has the amount of power generated by nuclear started to decline. It's not as catastrophic as has been described. While we've not been building new reactors here, in Asia, they have been, and the [North] Koreans and Japanese, and China and India, are ramping up. There's been a shift of activity from the west to the east. 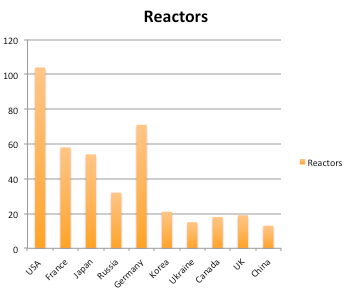 The number of reactors has increased." Ten new nukes are planned for the UK, with the first becoming operational in eight years. The problem here is one a skills shortage, caused by an ageing skills base. You need "Squep" people (suitably qualified and experienced) to monitor the safety of the facilities. The Nuclear Installations Inspectorate, the enforcement arm of HSE's Nuclear Directorate, recently acknowledged this by raising pay rates, hoping it could hold back the ageing experts from early retirement, or even lure them out of retirement. "I'm not sure if we can call it a Lost Generation, but it almost feels like one," says Grimes. "We are in significant danger of losing the real experience as the skills base is built up again," he says. "The amount of activity has started to increase dramatically, but they're inexperienced." A look at the third-generation nuclear technology on offer shows incremental improvements, and bears out a clutch of new ideas. The latest reactors are smaller and more modular. The design focus is on passive safety features, and using materials that are radiation resistant. Examples include the AP1000 from Westinghouse, Areva's EPR (Areva design). Unlike today's thermal reactors, the Generation IV designs currently on the drawing board, take in the whole fuel cycle as part of the design concept. The reactor burns get rid of the highly radioactive nasties - including plutonium and the minor actinides. In their Science paper, Grimes and co-author William Nuttall write that "some of these options could sustain power production for more than 1000 years". Surprisingly, the current vogue over the past five years has swung towards smaller reactors - below 1GWe (Gigawatt-electric) output. Why, I wondered, go for smaller plants when the planning process is so long and site acquisition is so expensive? Why not just build a big one? Grimes says: "It depends on how much you need. There's little point producing 1GWe when you only need a 10th of that, 100MWe." Westinghouse's AP1000 is, as the name suggests, a 1GWe station, but it started off as a 600MWe design.